Dr. McCloskey is a Distinguished Professor of Economics, History, English, and Communication at the University of Illinois at Chicago. Her ideas on what caused the Industrial Revolution and economic growth are being widely touted. She has written a number of books (Bourgeois Equality, Bourgeois Dignity, and The Bourgeois Virtues) explaining her position in detail. McCloskey’s work focuses on the causes of the Industrial Revolution. She does an excellent job of debunking the idea that capital accumulation or exploitation is the cause of the Industrial Revolution. She has a keen grasp of economic history. Unfortunately, the ability to criticize other ideas is not the same thing as putting forth a coherent theory. This article is based on a talk that McCloskey gave at George Mason, an interview that she gave after this talk, and a review of her book Bourgeois Dignity: Why Economics Can’t Explain the Modern World by Arthur M. Diamond, Jr. a professor of economics from University of Nebraska at Omaha. One of the most enduring myths of economics is that increases in capital are responsible for our increasing standard of living. McCloskey shows that for almost all of human history the average person lived at a subsistence level (edge of starvation aka “the Malthusian Trap”). She cites two exceptions, the Agricultural Revolution that occurred about 10-11 thousand years ago in the Fertile Crescent and the Industrial Revolution. The increase in real per capita incomes that happened after the beginning of the Agricultural Revolution did not last. According to McCloskey the reason it did not last was because human population expanded to absorb the excess calories that were initially created by the Agricultural Revolution. The Industrial Revolution was the first time in history that average peoples’ incomes began to grow consistently. In the U.S. we have incomes that are 100 times greater than that of people before the Industrial Revolution and across the World as a whole our incomes are 30 times larger than people living at a subsistence level. McCloskey stresses that capital increases cannot explain this increase in our wealth. At best it could explain a factor of 2 or 3. She also argues that “property rights” cannot explain the Industrial Revolution. Though property rights are important, she noted, Genghis Khan enforced property rights rigidly, and as a result people fled to his domain for its political protections; nonetheless, little in the way of an industrial revolution resulted. China likewise had a good property rights system for centuries without innovation, indicating that it is clearly not a sufficient condition by itself. Property rights, she said, are “commonplace” without progress, though they are important if progress is to be had. McCloskey also argues that scientific progress is not the cause of this increase in wealth. [T]he Scientific Revolution did not suffice. Non‐ Europeans like the Chinese outstripped the West in science until quite late. Britain did not lead in science—yet clearly did in technology. Indeed, applied technology depended on science only a little even in 1900. So what did cause this explosion in wealth associated with the Industrial Revolution according to McCloskey? Innovation. She does not define exactly what she means by innovation. It clearly includes invention, however like Schumpeter she sees inventors as just a small part of the overall puzzle. According to a reviewer, McCloskey thinks invention is on autopilot. She also dismisses the patent system as the cause of this increase in wealth and innovation. However, professor Arthur M. Diamond, Jr. suggests her argument in unconvincing. I also have one substantive concern. McCloskey rejects a little too quickly and a little too strongly one important possible cause: patents. The answer for McCloskey is liberty and dignity. In various places she says this is key for inventors, or innovators (Schumpter), or Bourgeois virtues. It is hard to see how this leads to any specific policies or even how you can measure the dignity portion of her answer. While her critique of standard economics is brilliant and she is focused on the right questions, her answers are confused and contradictory. For instance, in some places she emphasizes invention not social attitudes and in other places she says inventions just occur and inventors are unimportant. She never explains why the Industrial Revolution starts in Great Britain and the U.S. but not in France for instance. She does point out that it is not scientific advancement, because France was at least if not more sceintifically advanced than Great Britain at the beginning of the Industrial Revolution. Despite this she seems to align with Joseph Schumpeter more than she does with Mises or Hayek. Her critique of the capital theory of wealth creation is totally inconsistent with Mises and Hayek. Her interest in economic history is totally inconsistent with Mises and she never once mentions, banks, fractional reserve banks, or central banks. Her emphasis on dignity seems to resonate with Hayek’s idea of ‘cultural evolution’ and her distinction between inventors and innovators is pure Schumpeter. In the final analysis McCloskey’s critique of the standard explanations for the Industrial Revolution is excellent and the fact that she is asking the right questions in economics is also laudable. However, her answers are contradictory and confused. Instead of following the evidence, she tries to cram her preconceived ideas about economics onto the evidence, including the irrational radical subjectivism of the Austrian School of Economics. There has been a fear that technological progress, particularly when tied to a patent system, leads to monopolistic competition. Monopolistic competition is supposed to be incompatible with Adam Smith’s invisible hand or perfect competition. In perfect competition, no one producer or consumer has the ability to affect the market price and all producers and consumers compete for a homogenous product, driving down the cost of the product. Commonly, individuals say this process is what makes us all wealthy in a free market economy. Interestingly, Adam Smith’s example of the pin factory is supposed to describe the beginnings of monopolistic competition. The specialization described by Smith is alleged to lead to greater scales of economy, which leads to more specialization firmly entrenching incumbent firms. However, monopolistic competition is supposedly bad causing inefficiency resulting from a company’s ability to charge a price above its marginal cost. This theory is at odds with the first rule in business – find a competitive advantage if you want to survive and prosper. Any business that can only price its goods at its marginal cost is not worth investing in; since it will not provide a return on investment. How can we reconcile this conundrum? As proven earlier, the way in which we overcome entropy is by inventing. While an invention may be used to produce an existing good at a lower price, it may also be used to create a new good to meet an unfilled demand. Even if the invention is a way to make an existing good cheaper, the goal of the businessman is to maximize his profits. In order to do this, he will have to charge a price above his marginal cost but below the price of his competitors. The potential profits will be used by the inventor to attract or justify investment in the invention. Without this investment, the invention will never be commercialized and the consumer will potentially be worse off, as will the inventor. If the inventor’s idea can be easily copied, it might not attract investment, therefore, it will not be commercialized, to the detriment of both the inventor and consumers. Perfect competition is the state at which it makes no sense to invest in any business, let alone new inventions. Perfect competition in any economy leads to a technologically stagnant world and decline in real per capita incomes until humans are back in the Malthusian Trap. It is the enemy of innovation, wealth, and human happiness. Does this mean we want monopolistic competition? It depends. If the monopolistic competition is the result of property rights (including patents), then yes we do want monopolistic competition. Only with the prospect of significant returns will people invest in developing and disseminating new technologies. Without this incentive, entropy will take over and we will regress economically. If the monopolistic competition is the result of government imposed restrictions to the market, then the answer is no. How do we tell the difference between government protecting property rights and arbitrary barriers to the marketplace? After all, a number of influential people, including Thomas Jefferson, have suggested that patents are a government granted monopoly and not a property right. In order to differentiate between property rights and arbitrary government grants, we need a definition of property rights and an understanding of their characteristics. Property rights are a legal recognition of creation. The first owner of anything is the creator. This was explained somewhat inartfully by John Locke, as if you mix your labor with a natural resource it becomes your property because you own your labor. Property rights are also freely alienable, meaning the owner has a right to sell, lease, subdivide, grant easements, etc. according to the owner’s needs and desires, without government approval. Recording a transfer is not government approval, instead it is a process whereby government will enforce these private agreements. A number of government regulations have impeded the right of alienation even on land, but in general, property in land is still alienable. There are three simple questions to determine if a government action is a property right or a rent-seeking regulation. 2) If someone else was the creator, would they have received the right in the creation? If the answer to all three questions is yes, then the grant in question is a property right. Patents and intellectual property rights arise because someone created something. If another person had created the same thing, then they would have received the property right in the item and they are freely alienable. Thus, patents meet all the tests of a property right. Ideally, we want everyone involved in an enterprise that can be described as monopolist competition. In a perfect economy, people would compete on creating and disseminating new technologies and not in producing products or services indistinguishable from their competitors. People would then plow their profits back into creating even more inventions. Wouldn’t this put the consumer at the mercy of every producer and would not the first mover end up dominating a market for eternity? New technologies supplant existing technologies and make them obsolete. An entrenched company in a present technology rarely has any special advantage over a new entrant in the marketplace with a new technology. The book, The Innovator’s Dilemma, provides examples of why it is difficult to transition to the next technology for a market leading company in a current technology. The conclusion from this is that a market based on property rights, but without government rules entrenching incumbent firms, is not going to become dominated by huge existing firms. It will be a market dominated by new firms introducing new products. The average Fortune 500 company today has a lifespan of forty years, and in the most innovative sectors, the turnover is much quicker. One third of the companies listed as a Fortune 500 in the 1970s no longer exist. The supposed conflict between monopolistic competition and perfect competition is nonexistent. Perfect competition is a technologically stagnant world in which humans regress back into the Malthusian Trap. Only with the prospect of substantial profits can anyone rationally invest in new technologies that make us all wealthier. This does not lead to a world dominated by incumbent companies, but to a dynamic market where new companies compete to make the next disruptive technology and company life spans are relatively short. One of the most important questions in economics is why did the Industrial Revolution occur where and when it did? As pointed out by William Rosen, author of The Most Powerful Idea in the World: A Story of Steam, Industry, and Invention, there are hundreds of theories on this, but most of these theories miss an obvious point- “… the Industrial Revolution was, first and foremost, a revolution in invention.” According to Rosen, the Industrial Revolution was a perpetual invention machine. This is not surprising, since inventions are the way that homo economicus creates wealth. The Industrial Revolution represents the first mass escape from the Malthusian Trap by humans. As pointed out above, the majority of history is consistent with the idea that the rate of new inventions is dependent on the size of the population until the Industrial Revolution. So why did this suddenly change in the 1800s inBritain? Let’s first examine some of the standard explanations for how to create growth in the economy. Does per capita income take off around 1800 because taxes suddenly get lower (or higher) around 1800? Tax levels did not change significantly around 1800, in fact, they were lower than current levels until around 1900. Taxes averaged 10% or less of GDP during most of history. Did the size of government suddenly shrink (or grow) around 1800? Government size did not change significantly around 1800; the size of government did not start to grow until around 1900. Did any government put a mechanism to stimulate demand in place: the world’s greatest “cash for clunker program”?– Was Keynes correct in saying a government has to stimulate demand? The period until about 1800 AD is called the Malthusian period, after Thomas Malthus. During this period, our population expands until we are on the edge of starvation. There certainly was plenty of demand during this period, at least for food. Does income suddenly take off because we tinker with our money supply? The tools for controlling the money supply around 1800 were crude at best. The reason the Industrial Revolution starts in England, at the end of the 18th century, is because England created a property right in inventions – patents. Patents are the only free market system for encouraging people to invest in inventions and technology. Patents are the legal title to an invention. The reason why the US overtakes Britain in the Industrial Revolution is that the US creates a better patent system than Britain. The first patent statute in the USis passed in 1790. The USbecomes the economic and technological leader of the world not because its citizens have some innate “yankee ingenuity,” but because of how the US designed a system that better protects an inventor’s right in their invention. The United States is the first country in history to recognize an inventor’s property right in their invention. As pointed out in the section entitled Exogenous vs. Endogenous, the rate of inventing is influenced by market forces. At the beginning of the Industrial Revolution, there were no big government sponsored research projects inEnglandor theUnited States. 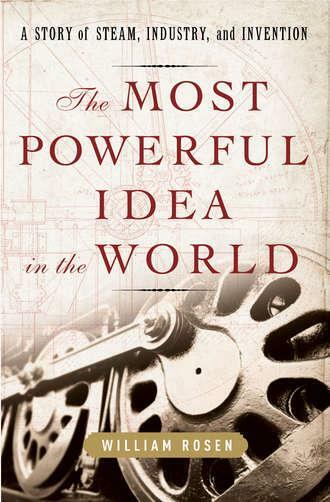 The explosion of inventions at this time was driven by market forces and the ability to capitalize on such. This is not to say that a patent system can create economic growth or technological growth in a vacuum. If the government imposes a tax system that confiscates all income, then ownership in your invention has no value. If the government imposes rules on the entry of new technologies to the market, then the value of your invention is severely curtailed. The ability to exploit an invention once it is created and the inventor has legal title to his invention, is subject to essentially the same constraints and incentives as other business enterprises. The reason the Industrial Revolution began in Englandin the late 18th century is that this is whenEngland and then theUnited States recognized a property right for inventions. Given the importance of inventions to economics, it is amazing the lack of economic research in this area. Jacob Schmookler’s groundbreaking econometric studies is one of the exceptions. He investigated whether the number of inventions is limited, whether market forces or scientific advances had a bigger impact on the number of inventions and the direction of inventions, the average value of a patent, the percentage of patents that find their way into commercial products, etc. Interestingly, he found that over 50% of all patents are commercialized, despite the often repeated statement that only 1-2% of patents are ever commercialized. Zorina Khan and Kenneth L. Sokoloff examined the historical development of patent laws and their affect on the rate of invention. Most of the endogenous growth theorists tend to consider invention too narrow in describing the causes of economic progress, while recognizing that economic growth is caused by increases in our level of technology and that incentives matter in the creation of new technologies. This author’s opinion is the failure to define what a new technology is has resulted in GIGO syndrome. A question that has not been investigated is whether there are natural laws of invention. Many economists now consider natural laws in economics to be irrelevant. As a physicist, I would respectfully disagree. Natural laws have taken us to the moon and back, allowed us to manipulate individual atoms, created machines that can peer inside the human body without damaging tissue, etc. Natural laws organize an area of knowledge and allow one to think conceptually about problems. Following and categorizing logical results has led to some of the greatest discoveries in science. Training, Presentation made at Hyderabad Management Association on March 10, 2000, http://fablar.in/yahoo_site_admin/assets/docs/Ravi_on_Agile_Organisation.9832337.pdf. Kremer, Michael, Population Growth and Technological Change: One Million B.C. to 1990, The Quarterly Journal of Economics, Vol. 108, No. 3. (Aug., 1993), pp. 681-716, http://links.jstor.org/sici?sici=0033-5533%28199308%29108%3A3%3C681%3APGATCO%3E2.0.CO%3B2-A. US Constitution, Article 1, Section 8, Clause 8. Schmookler, Jacob, Inventions and Economic Growth, Harvard Press, 1966, p.50.